I’m so desperate to to get you all to the point where you’re executing on your ambitions. It’s why I put out so much content, spitting the same truth in different ways until something “breaks through.” In this podcast, I talk about how to start and some mindset shifts to get past some of those common fears in the beginning. 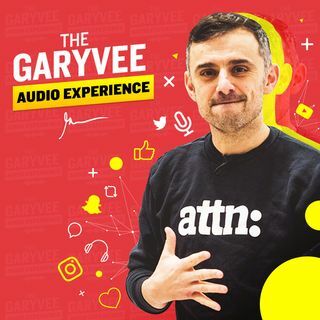 1:45 - the fear of losing trumps the excitement of victory for so many people ​5:20 - what's the ROI of your mother 6:30 - how to get other people to see what ... See More you're doing​ 10:28 - 1 out of 147 is better than 0 Listen and tweet me what you thought @GaryVee!